When you look at your smile in the mirror, are you happy with what you see? If the answer is no, don’t despair. At Central Dental Associates, we can help improve the overall appearance of your smile with porcelain veneers. Porcelain veneers are a great cosmetic dentistry solution that can change the appearance of your smile. They are thin pieces of porcelain that are attached to the front of your teeth, allowing us to reshape the appearance of your smile. This is a great option if your teeth are discolored, stained, cracked, chipped, misaligned or have gaps. If this is the right solution for your smile, we’ll start by analyzing your smile and going over what you hope to achieve with porcelain veneers. At your second appointment, we’ll take impressions of your teeth that will be used to craft your porcelain veneers. Your teeth will be prepared and you’ll be fitted with temporary veneers. A dental lab will carefully craft your veneers for a natural looking restoration. Your third and final appointment will consist of fitting the final porcelain veneers onto your teeth, leaving you with an improved smile. 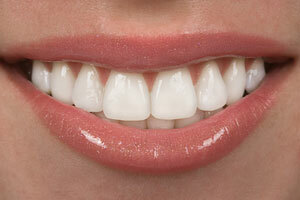 A beautiful smile is easier to achieve than ever before thanks to porcelain veneers. This is a great cosmetic dentistry solution that can quickly change the appearance of your entire smile. Give us a call if you want to learn more, or to set up your consultation today.